If you're like me, you often find yourself carrying an armful of stuff. Without fail, if I'm going to drop something, it will be my water bottle. So, here's a solution! I used a 3.25 mm hook (D) instead of a 3 mm as the pattern suggests. There was no real reason to it except that I knew where my 3.25mm hook was and didn't want to look for my 3mm hook. I only increased out to 60 sts rather than to the full 84 sts because that's all it took to make the size I was looking for. With the decorative stitching, I only did 15 rounds instead of the 23 in the pattern because that's all I needed to get the height I wanted. I also didn't do the little ball ties as in the pattern. Instead, I used a double strand of yarn and a 6mm (J) hook to chain 200 so the drawstring can be used as a shoulder strap. 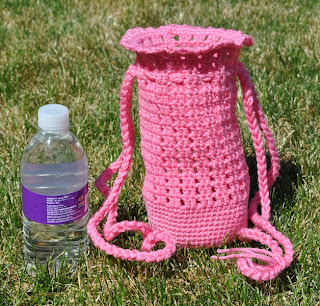 Because this bag uses a small crochet hook, it actually took HOURS to complete (small stitches and inevitable snagging!). In the end, it turned out really well. It's durable. 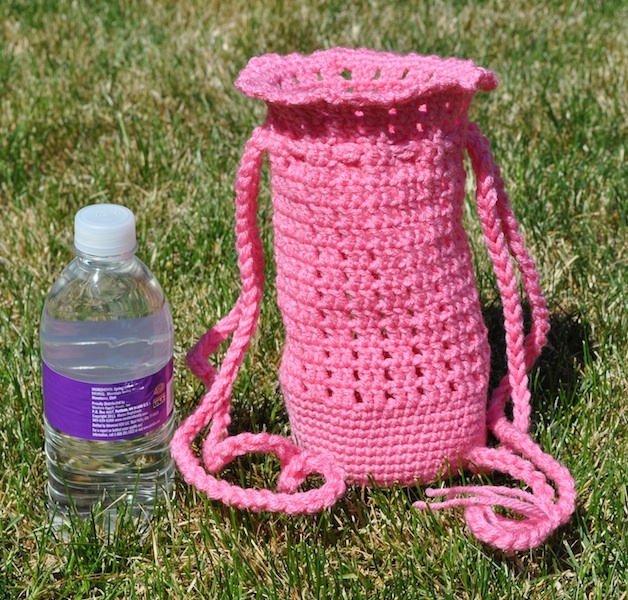 The bottom is made of very dense single crochet stitching, so it can easily support the weight of a bottle. 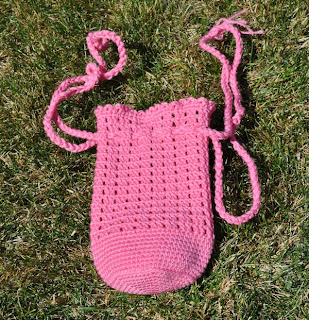 Would I make this bag again? I'm not sure, it was very time consuming for what I made. That being said, it made a very good bag. 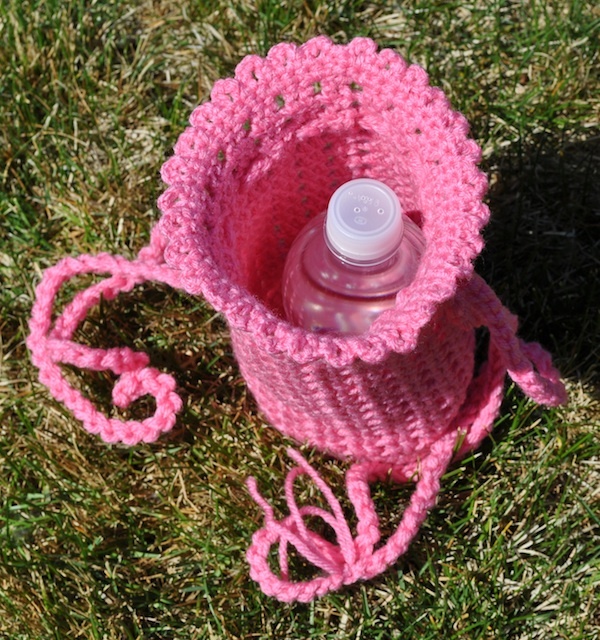 This particular bag was made as a gift, however, so I may have to make one more! I think it's way cute! And since you said it was so easy and everything, I think a bigger version would make a super cute purse. The end.